To access our Terms & Conditions click on the relevant heading below. Depending on your project, you will need to complete either the Design & Print or Website Design & Build Terms & Conditions. If you have any queries, please contact our office. 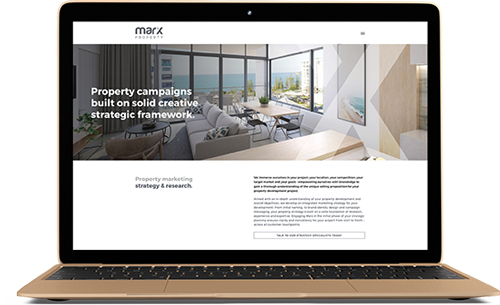 At Marx Design Pty Ltd, we aim to do our best to fulfil your needs and meet your goals. We will work in good faith for the best possible outcome for both parties, now and in the future. We have the experience and ability to perform the services you need and we will carry them out in a professional and timely manner. Along the way we will endeavour to meet all deadlines set while maintaining the confidentiality of any information that is provided to us. As our client, you have the power and ability to enter into this contract on behalf of your company or organisation. You agree to provide us with everything we require to complete the project including text, images and other information as and when we need it, and in the format that we ask for. You also agree to review our work, provide feedback and sign-off approval in a timely manner. You also agree to align to the payment structure set out within this contract. By filling out this form, you as the company director and/or its representative, agree to the ‘Terms and Conditions of Contract’ and hereby commission ‘Marx Design Pty Ltd’ to perform duties outlined in the verbal/written brief as dated below. You also agree that these ‘Terms and Conditions of Contract’ will apply to any additional work/projects requested by you or a member of your company/organisation in form of an ongoing business working relationship until both parties determine otherwise. Please take time to read through our Terms and Conditions thoroughly and ensure you understand them. By requesting services from Marx Design Pty Ltd you agree to our ‘Terms and Conditions of Contract’ below, and you are aware that you are entering a binding contract - payment is required. The below conditions have been construed under Australian Law and apply to all individuals, businesses or companies (Client/s) engaging the services of The Trustee for Johns Family Trust Pty Ltd trading as Marx Design Pty Ltd, its contractors, subcontractors and employees (the Company) unless otherwise agreed to in writing by both parties. 1) These Terms and Conditions cover all work entered into by the Client with the Company for services relating to design, printing, copywriting, visual media, web sites, brand identity, signage, images and photography (Artwork). 2) If these Terms and Conditions change we will notify you beforehand. 3) These Terms and Conditions apply to the Company and all of its contractors and subsidiaries. 4) The Company and the Client will attend an initial consultation at no charge to the Client. This can be held via phone or in person. This will assist in the evaluation and formulation of the Client’s business design requirements. 5) Any additional work, revisions or variations outside of the original Brief will be charged at an hourly rate, billed in 30 minute increments. All prices exclude GST. Additional expenses will be charged accordingly. 6) The Company reserves the right to request a deposit from the Client prior to starting work on their project. The Company will request a 50% deposit for initial projects for non-existing clients and for all projects exceeding $1000. An invoice will be generated and delivered to the client via email and payment is expected via direct deposit before the commencement of the job. By remitting deposit funds to the Company, the Client is accepting the Terms and Conditions and entering a contract with the Company. 7) If a deposit is not requested, the Client is considered to accept the Terms and Conditions upon request of services/work from the Company. 8) The Company reserves the right not to proceed with these services or any other projects until payment has been received in full from the Client. 9) The Company reserves the right to invoice for work commenced or completed by the Client’s request if the project exceeds 60 days. 10) All payments are to be made within 14 days of invoicing or unless specified differently. 11) The Company is entitled to charge the Client a further 10% of the final invoiced amount for the recovery processes of accounts that remain unpaid in excess of 60 days. 12) The Company reserves the right to suspend web sites designed and built by the Company as a result of disputed accounts and/or accounts exceeding 60 days outstanding payment. 13) The Company reserves the right to charge additional costs if the Client requests amendments to the original Brief, or further Artwork is requested outside of the original quotation or after x2 rounds of Client changes. 14) If the Client requests the cancellation of a Project/Contract, the Company will determine the cost of Artwork and services provided to date and will invoice this amount minus any deposits paid on the project to date. 15) If the Company is required to work outside of normal business hours (8.30am - 5pm) Monday to Friday to complete/deliver a project to meet a specific deadline, an additional loading charge will incur. A priority fee may be incurred if the client requests an immediate project turnaround. 16) The Company will declare a project completed if no response is received from the Client within 30 days of providing a concept and this Artwork will be determined as the final accepted Artwork. The Company will then invoice the Client for final payment of total project and non-payment will result in collection processes. Debt Collection or legal action may also be taken by the Company to recover monies owed. 17) The Client is held responsible for approving all Artwork proofs and ensuring accuracy and suitability. This includes, but is not limited to; design, spelling, grammar, illustrations, images and quantity. It is the responsibility of the Client to request another copy if the proof is difficult to read or changes are required. Whilst every effort has been made for accuracy, your approval to proceed constitutes acceptance of full responsibility for any errors and omissions within the Artwork. Marx Design P/L will not accept liability for errors overlooked at the stage of final proofing. 18) Ownership of copyright and Intellectual Property (IP) of final artwork - including, but not limited to; logos, symbols, compositions and copy - remains with The Company until final payment has been made, at which time ownership of copyright and IP will be transferred to the client. Use of these Artworks by the Client before payment is strictly prohibited unless authorised in writing by The Company. Ownership of draft concepts outside of the final approved artwork remains the property of The Company. 19) The Client is responsible for all trademark, copyright and patent infringement clearances. The Client is also responsible for arranging, prior to publication, any necessary legal clearance of materials uses for this project. The Client indemnifies the Company against any loss or damage arising directly or indirectly from any unauthorised use of photographs, text, or other Intellectual Property not under copyright ownership of the Client. 20) Artwork designed by the Company will remain the property of the Company until the account is paid in full. 21) Upon full payment of the account, the Final Finished Art PDF will be transferred to the Client if requested. 22) Due to industry licensing fees and regulations, the Company remains the owner of all original raw design files created by purchased software. 23) The Company reserves the right to charge a file transfer and collation fee for any requested Finished Art that is over 6 months old due to the collection of data from off-site hard drives. 24) Fonts and images (provided by the Company) cannot be transferred to a Client without purchase. 25) The Client also agrees to allow The Company the right to use Artwork and all design elements created by The Company for portfolio/self-promotion, unless notified by the Client in writing beforehand. 26) Upon signing this agreement, The Client has agreed to appoint Marx Design P/L as the sole creative agency to provide graphic and digital design services, unless otherwise disclosed. During this appointment The Client is prohibited to engage the services or enter into a contract that is deemed to be a conflicting to that of The Company’s services and / or supplier relationships. The Client is also prohibited to enter or engage the services of a current or previous employee of Marx Design P/L during the appointment period. The appointment period can only be terminated by either party in writing. 1) These Terms and Conditions cover all work entered into by the Client with the Company for services relating to web design & development, design proofs, copywriting, photography, email setup and hosting. 4) The Company and the Client will attend an initial consultation at no charge to the Client. This can be held via phone or in person. This will assist in the evaluation and formulation of the Client’s business website requirements. 5) Any additional work, revisions or variations outside of the original Design Brief will be charged at an hourly rate, billed in 30 minute increments. All prices exclude GST. Additional expenses will be charged accordingly. 6) The Company reserves the right to request a deposit from the Client prior to starting work on their project. The Company will request a 50% deposit for website design & development exceeding $1000. An invoice will be generated and delivered to the client via email and payment is expected via direct deposit before the commencement of the job. By remitting deposit funds to the Company, the Client is accepting the Terms and Conditions and entering a contract with the Company. 10) The remaining 50% balance is payable on approval of the preview site and prior to the scheduled date of the website ‘going live’. 13) The Company reserves the right to charge additional costs if the Client requests amendments to the original Brief, or further design & development is requested outside of the original quotation. 14) If the Client requests the cancellation of a Website/Contract, the Company will determine the cost of Design and services provided to date and will invoice this amount minus any deposits paid on the project to date. 15) If the Company is required to work outside of normal business hours (8.30am - 5pm) Monday to Friday to complete/deliver/amend a website to meet a specific deadline, an additional loading charge will incur. 16) The Company will declare a website completed if no response is received from the Client within 30 days of providing a design concept and this Artwork will be determined as the final accepted Artwork. The Company will then invoice the Client for payment of the work completed and non-payment will result in collection processes. Debt Collection or legal action may also be taken by the Company to recover monies owed. 17) The Client is held responsible for approving all Artwork proofs and preview sites, ensuring accuracy and suitability. This includes, but is not limited to; design, spelling, grammar, illustrations, images and functionality. It is the responsibility of the Client to request another copy if the proof is difficult to read or changes are required on the preview site. Whilst every effort has been made for accuracy, your approval to proceed constitutes acceptance of full responsibility for any errors and omissions within the web design. Marx Design P/L will not accept liability for errors overlooked at the stage of final proofing before ‘going live’. The Client indemnifies the Company against any loss or damage arising directly or indirectly from any errors and omissions. 18) Ownership of copyright and Intellectual Property (IP) of final design - including, but not limited to; themes, logos, symbols, compositions, photography and copy - remains with The Company until final payment has been made, at which time ownership of copyright and IP will be transferred to the client. Use of these designs by the Client before payment is strictly prohibited unless authorised in writing by The Company. Ownership of draft concepts outside of the final approved artwork remains the property of The Company. 19) After acceptance of the website and payment of all sums due by the Client, the Company agrees to assign perpetual and unrestricted copyright to use any materials produced by the Company in accordance with this Agreement to the Client including exclusive usage rights to unique graphics. 20) The Client is responsible for all trademark, copyright and patent infringement clearances. The Client is also responsible for arranging, prior to online publication, any necessary legal clearance of materials uses for this project. The Client indemnifies the Company against any loss or damage arising directly or indirectly from any unauthorised use of photographs, text, or other Intellectual Property not under copyright ownership of the Client. 21) Artwork and web development created by the Company will remain the property of the Company until the account is paid in full. 22) Fonts and images (provided by the Company) cannot be transferred to a Client without purchase. 23) The Client also agrees to allow The Company the right to use Artwork and all design elements created by The Company for portfolio/self-promotion, unless notified by the Client in writing beforehand. 24) The Company reserves the right to use the Client's website, associated graphics and any unused ideas and development in the promotion of the Company's services. The Client agrees to allow the Company to retain a credit and link from the footer of the website. 25) The Company makes extensive use of open source software (e.g. Wordpress) and components to supply websites and services to the Client. The Company will not charge additional licencing fees on open source software. 26) All software and components not developed by the Company retain the original licence and terms associated with them. The Company cannot assign any rights to the Client and the Client agrees to be bound by the original Author’s terms. 27) In no event shall the Company’s Designers, Directors, Employees and Contractors be liable for any lost data or content, lost profits, business interruption or for any indirect, incidental, special, consequential, exemplary or punitive damages arising out of or relating to the materials or the services provided by the Company. 28) All software, technical solutions and systems are provided “as is” without warranty of any kind, either expressed or implied, including, but not limited to, the implied warranties of merchantability and fitness for a particular purpose. The Company makes extensive use of third party solutions and cannot provide warranty for systems that the Company has no control over. 29) If warranties are required, the Company will attempt to source warranted services. In this context any warranty would be provided by a third party and the Company will assume no liability. 30) The Company takes no responsibility for the quality of purchased or leased themes, plugins and other software (defined as purchased software), assumed to be of a professional quality. If software is supplied with bugs and defects, the Company will not be liable for fixing them. 31) Upon the end of this Agreement (website completion and balance of payment), the Client is free to transfer their website management to another service provider. The Company will supply the last backup of the site and associated data. The Company will take all reasonable actions to transfer the Client's domain name to a new registrar. 32) Ongoing Management is defined as the ongoing work to keep the website functioning and secure. This includes, but is not limited to: data management, backups, maintenance, upgrades and software patches is not included in this agreement and will require an additional agreement. 33) If the Client does not proceed with an additional or Ongoing Management agreement, the Client is responsible for Ongoing Management of the website and indemnifies the Company against any loss or damage arising directly or indirectly from website downtime or security breaches. 34) A preliminary level of SEO configurations will be performed that include page titles, meta descriptions and alt tags. Additional or ongoing SEO managment including analytics will remain the responsibility of the website owner/client who may need to seek special or specific advice/reports to further enhance ranking capabilities. 35) If the Client or their agent or contractor employed by the Client other than the Company attempts to update, edit or alter the site’s pages, infrastructure, source files or hosting management in a way that causes damage to individual pages or the site’s architecture, time to repair web pages will be assessed as an additional cost at our professional hourly rate. In no event shall the Company be liable for any lost data or content, lost profits or business interruption caused by additional changes made to the site from what has been supplied. 36) All domain names are legally owned by the Client. All domain name registrations are subject to availability and registration rules. The Client manages their domain(s) and payment of fees unless the Client requests in writing that the Company manage the domain name(s) on behalf of the Client. The Company will invoice the Client when fees are due. 37) The Client indemnifies the Company against any loss or damage arising directly or indirectly from any failure of services provided by the Registrar who manages the Client's domain names. 38) The Client is responsible for contacting the chosen host for support relating to hosting matters. The Company will charge for costs incurred liaising with the hosting company and supporting the Client with hosting related issues. 39) The Company will charge for costs incurred due to differences in hosting environment if installation and management exceeds standard time frames. This includes delays caused by slow server speeds and incompatibility with hosting environments. 40) The Client providing a third party server/host for websites will do so at their own risk. The Company ensures all website functionality and visual representation is correct before uploading to a third party server/host. The Company takes no responsibility for third party servers/hosts that have unforeseen limitations, restrictions or incompatible issues that may result in an error. The Company only guarantees the correct visual representation and functionality of a website at the time of publishing when designed and hosted within the Company's control. 41) The Company's websites are tested against standard devices and the latest versions of browsers on the latest operating systems at the date of publishing the website. Support for additional browsers or devises will be quoted by request. 42) Website visitors use different monitors and systems with different settings. Colours and image quality of the website including graphics and photography may vary between computers and monitors. 43) Once the project has, in the opinion of the Company been completed, The Company will notify the Client either verbally or in writing, and provide the Client with an opportunity to test and review the website. If the Client determines that the website does not comply with the agreed project components, the Company agrees to carry out any necessary and reasonable modifications without extra charge. If the Client agrees that the website is satisfactory and approved either verbally or in writing the Company has permission to publish the site. 44) Upon signing this agreement, The Client has agreed to appoint Marx Design P/L as the sole creative agency to provide graphic and digital design services, unless otherwise disclosed. During this appointment The Client is prohibited to engage the services or enter into a contract that is deemed to be a conflicting to that of The Company’s services and / or supplier relationships. The Client is also prohibited to enter or engage the services of a current or previous employee of Marx Design P/L during the appointment period. The appointment period can only be terminated by either party in writing.